Does Berger moly coat bullets? No. Berger Bullets no longer moly coats bullets. To assist customers who want to moly coat their own bullets, we have created a how-to guide for Berger’s official moly coating process, which can be found in the Tech Talk section of our website here. Where is the Berger Bullets factory located? Where can I get loading data for Berger Bullets? Our loading manual is now available through our online store. You can also find new reloading data here. For information not listed in the manual or reloading data page, please contact support@capstonepg.com. 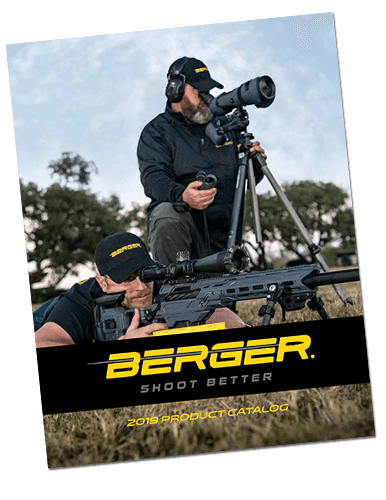 How do I find a Berger Bullets dealer? Go to our dealer locator page and use the map or search feature to find a dealer close to your location. Keep in mind that if you do not find a dealer near you, there are several dealers that will ship to your door. These shipping dealers are listed under the Dealer Locator heading on the Top 20 Dealers page. You can also encourage your local dealer to order our bullets for you. 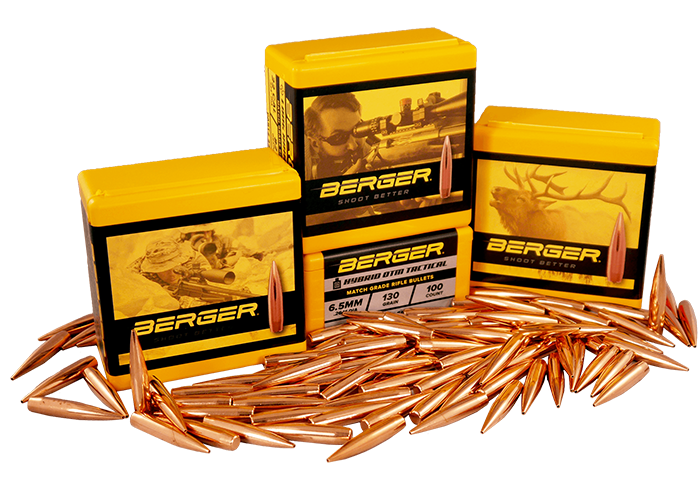 Stocking dealers can call 714-441-7200 option 5 to become a Berger Bullets Dealer. 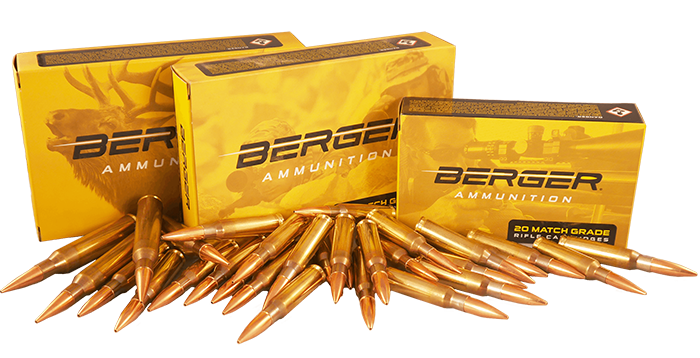 If you are still unable to find the Berger Bullets you want, call 714-441-7200 option 2 and we will ship them to you directly. Ask about our bulk discount program. Why do you recommend the slowest twist? Spinning a bullet faster than necessary can amplify any inconsistency in the bullet. Since we use J4 jackets, you can shoot Berger Bullets in faster twist than what is listed. We list the slowest twist rate needed because we want to squeeze every bit of accuracy out of a rifle. What do you mean by faster and slower twist rate? Twist rate refers to the rate of spin in the rifle barrel, and is represented in inches per turn. It’s important that your barrel has an adequate twist rate to stabilize the bullets you’re shooting. A barrel that is a 1:10” twist means that the rifling will spin the bullet one revolution in 10 inches. The lower the number of the twist, the faster the twist rate or the faster the bullet will spin. For example, a 1:8 twist will spin the bullet one revolution in 8 inches, whereas a 1:10” twist will spin a bullet one revolution in 10 inches. If you were shooting a bullet in both barrels at a velocity of 2800 feet per second, the 1:8” twist barrel (252,000 RPM) will spin a bullet much faster than a 1:10” twist barrel (201,600 RPM). So a 1:10” twist is slower than a 1:8” twist, a 1:12” twist is slower than a 1:10” twist, and so on. Generally, fast twist barrels are used for longer bullets while slower twist barrels are used for shorter bullets. If a bullet has a twist recommendation of 1:10”, it will be stable when fired from any rifle having a 1:10” or faster. So a 1:9” would work fine, but a 1:11” may not. The recommended twist rate will ensure adequate stability in all conditions, but there are some cases when the bullet may be stable from a slower twist (high altitude for example). Use the twist calculator on this page to calculate a stability factor for any bullet in your conditions to determine the actual twist requirement. How do I find out the twist in my barrel? The best place to start is with the barrel or rifle maker. Sometimes this information is not available. One method of finding the twist rate of your barrel is by using a cleaning rod. Put a dry, loose fitting patch (so it doesn’t get stuck in your barrel) on a jag and put your rod into your barrel from either the muzzle end or the chamber end. (Note: When putting a rod into the muzzle end, be careful not to damage the crown/muzzle). Move the rod back and forth to verify that the rod spins freely as the rifling turns the rod. With the rod in the barrel, make a mark on the rod with a Sharpie at the point where the rod enters the muzzle or the action. Near the handle of the rod place a piece of tape on the top of the rod. Push the rod into the barrel. You will see the piece of tape travel one full revolution as the rifling turns the rod. When the tape is back to the top make another mark with your Sharpie on the rod where the rod enters the muzzle or the action. Pull the rod out of the barrel and measure the distance between the two Sharpie marks. If the distance is 12 inches, you have a 1:12” twist barrel. If the distance is 8 inches, you have a 1:8” twist barrel, and so on. For best results, repeat this process two or three times. If you find the measurement is 9.2 inches or 9.8 inches, you can shoot any bullets that are recommended for a 1:10” twist. You may or may not be able to shoot bullets that are recommended for a 1:9” twist. BC stands for “Ballistic Coefficient”. In words, BC is a measure of how well a bullet retains velocity; the higher the BC, the more velocity is retained, and vise-versa. Heavy bullets with streamlined profiles will have higher BC’s than shorter bullets with blunter profiles. BC is the fundamental measure of external ballistic efficiency and performance. The higher the BC, the better the bullet retains velocity/energy and resists wind deflection and drop. The Ballistic Coefficient (BC) is used to do external ballistic analysis. The most common use is to input the BC into a ballistic computer program along with other data about the shooting conditions (muzzle velocity, zero range, atmospheric conditions, etc) in order to calculate a trajectory for the bullet. The trajectory information is used to make sight corrections for drop and wind deflection. BC’s of various bullets are often compared when selecting a bullet for a particular application where external ballistic performance is important. One example is long range target shooting where the shooter wants a high BC in order to minimize wind deflection. A high BC does not indicate a more accurate bullet. However, a high BC does minimize the effects of many shooting variables like uncertainties in range and wind conditions. Through minimizing the effects of the uncertainties, the higher BC can reduce the net miss distance compared to a bullet with a lower BC. What is the difference between G1 and G7 BC? Our flat based bullets only have a G1 coefficient while our boat tails will have both G1 and G7 coefficients. G1 and G7 are two different methods of calculating Ballistics. G1 is the old system for measuring BC and is suitable for flat based bullets, but many bullet manufacturers use this coefficient for boat tail bullets as well, so we include the G1 information so that you can directly compare our bullets to their bullets. G7 is an updated equation and the better system of measuring a ballistic coefficient. It provides more accurate and reliable results when calculating trajectory using a ballistics program that allows for a G7 to be used. Where can I find the Berger Ballistics Calculator? Do you ship directly to international customers? Due to trade regulations on firearms, we do not offer direct shipping to international customers for our bullets. We do ship internationally to authorized resellers. You can find a list of dealers closest to you by clicking here. We also have a list of dealers that sell online that you can find by clicking here. We do offer shipping directly to our customers on our reloading manual, t-shirts, and hats. You can order these by phone by calling 714-441-7200 M-F 8am to 4:30pm Pacific Standard Time. Even though we ship our manuals internationally, we usually recommend you try a reseller first, simply because shipping charges internationally can be expensive. For instance if we are to ship a manual to Canada, the manual costs $29.00 USD and the shipping through USPS.com is $27.40 USD (03/06/13), making the total $56.40 USD. When are the new bullets I heard about being released? We currently have several new bullets that we are wanting to release, and we are just as excited about them as you are. Right now we are experiencing an overwhelming demand for the bullets that we currently offer, and before we can release new bullet lines we need to be able to keep up with backorders on the existing ones. We have several new lines we are excited about releasing, but we do not have exact design specifications or dates for release as of yet. CLICK HERE to sign up for our newsletter to hear information as it becomes available. Our Target and Tactical bullets are designed with thicker jackets that withstand more stress before bullet degradation occurs. A target or tactical shooter generally fires multiple rounds in a row, causing the barrel to heat up and more stress on bullet. To keep performance high, we give these bullets thicker jackets. Our Varmint and Hunting bullets have slightly thinner jackets. This means that the bullet will expand more effectively, creating a large wound cavity that devastates the animal using hydrostatic shock. Hunters generally shoot 1-3 bullets at a time, so bullet degradation is not as much of a concern as expansion. These are simply different naming conventions that we use to clarify that the bullets can be used for each application. The military requires that OTM (Open Tip Match) bullets be clearly defined as OTM in the product name for clarification. There are no differences between these two bullets. The Tactical bullet is made on a shorter jacket so the nose lengths allow a COAL that will feed through a magazine and shoot well in standard issue chambers. The target bullet is on a longer jacket and will not meet COAL standards and most likely will not function through a magazine, but this longer jacket gives the Target bullet a higher BC than the Tactical. Can I use my Target bullets for Hunting? We do not recommend that you use Target bullets for hunting. The wound channel with a Target bullet is narrow compared to the wound channel of a Hunting bullet. The wider wound channel produced by the Hunting bullet is more likely to impact vital organs if the shot placement is not ideal. What is the difference between a Secant, Tangent, and Hybrid Ogive? A Tangent Ogive (like our standard BTs) is less sensitive to seating depth but has more drag and a lower BC than a Secant Ogive of the same length. A Secant Ogive (like our standard VLDS) has a higher BC and lower drag than a traditional Tangent Ogive but can be quite sensitive to seating depth. A Hybrid Ogive blends the best aspects of the tangent and secant nose shapes into one Ogive. It starts at the bearing surface with a tangent section that will align itself more effectively when the bullet contacts the rifling. Beyond this section, the shape transitions into a secant section which is proven to be more effective in the wind. The result is a high BC bullet that is easier to tune. Have 30423, 30428, 30110, 33104, and 33106 been discontinued? Many websites show these bullets as “discontinued” because the part numbers changed, but you should be able to find these bullets under their new part numbers. Do Berger Bullets have a lead core? We make a few solid copper projectiles under the Berger Match Solid line, but most Berger Bullets have a copper jacket and a lead core. For additional clarification, email us at support@capstonepg.com or call us at 660-460-2800. Where can I get samples of your bullets? Many shooters do not want to buy a box of 100 bullets just to try out something new. One of our dealers, Bulletproof Samples, offers 12 packs of various bullets for you to use for load development and testing. Bulletproof samples are available to purchase at Cabela’s and Sinclair International. You can find out more by visiting their website at www.bulletproofsamples.com or calling them at 219-279-2010. Why are components (and Berger Bullets) so hard to find? We speak to several customers a day who ask the same question, “Why can’t I find my favorite Berger Bullets?” The truth of the matter is that all components are hard to come by right now due to an overwhelming demand. After the last election cycle there were several talks of increased regulation on ammo. Many shooters began to purchase much more ammunition and components than usual, due to the fact that they were worried that prices could increase or product could become harder to get. As product became harder to find, more and more shooters began to follow suite and purchase enough to last through the season, further increasing demand and reducing the amount on shelves. This has led to industry wide growth in demand. When comparing last year’s production numbers, we have increased output by a vast amount; and with many thanks to our hardworking employees we have shipped out more product than ever before. Quality is our top priority, so we manage our growth to make sure that we keep the highest standards in quality while increasing output. We will continue to grow our production capabilities to help meet demand while also coming up with new ways to connect our customers to dealers that have the product they are looking for. Our new dealer map and dealer webstores pages are great tools to help shooters find their favorite bullets. If you still cannot find the bullets you are searching for, we recommend that you put in a backorder with your favorite dealer as early as possible to make sure that you get in on the next production run. We do not have an online store, but many of our dealers do. Please visit our dealer page to find a list of dealers that sell our bullets and ammunition online.